Looking for a free property management agreement template? Our sample form will help spell the details of your landlord property manager agreement. 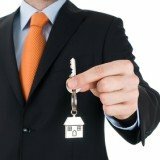 Responsibilities of Manager - If the property manager isn't responsible for a certain task such as advertising for new tenants, you should remove the relevant clause from your agreement. On the other hand, if the property manager is in charge of additional duties that are not listed below, you should add it in - Click here for a complete list of property manager duties. Liability of Manager - In general, a property manager is not held liable except in cases where he or she is negligent. If you are a rental property owner, you have adequate insurance to protect yourself - Click here for our full landlord insurance guide. *While we make every effort to ensure that our rental property management agreement form is helpful, you must edit them according to your personal needs and local landlord tenant laws. Always seek legal advice when in doubt. This Agreement is made and entered into this date of _______________ between the Owner _________________________ and the Manager _________________________. A. Collection and Disbursement. The Manager agrees to collect all rents as they become due; to render to Owner a monthly accounting of rents received and expenses paid; and to remit to Owner all income, less any sums paid out. Manager agrees to collect the rents from the tenant and to disburse funds by ordinary mail or as instructed by the Owner on or before the _____ day of the current month, provided, however, that the rent has been received from the tenant. B. Maintenance and Labor. The Manager agrees to decorate, to maintain, and to repair the property and to hire and to supervise all employees and other needed labor. C. Advertisement and Legal Proceedings. The Manager agrees to advertise for tenants, screen tenants and select tenants of suitable credit worthiness. The Manager will set rents that in the opinion of the Manager at the time of the rent negotiations with the tenant, reflect the market conditions of that time and approximate rents of comparable rental properties, unless expressly instructed in writing by the Owner to the Manager to the contrary, as to the amount of the initial rent and any subsequent increases as may from time to time be appropriate. The Manager agrees to rent and to lease the property; to sign, renew and to cancel rental agreements and leases for the property or any part thereof; to sue and recover for rent and for loss or damage to any part of the property and/or furnishings thereof; and, when expedient, to compromise, settle and release any such legal lawsuits or proceedings. If reasonable care has been taken by the the Manager, the Owner agrees to hold the Manager harmless from, and to defend the Manager against, any and all claims, charges, debts, demands and lawsuits. Barring any negligence by the Manager, the Owner agrees to pay the Manager’s attorney's fees related to Manager’s management of the herein-described property and any liability for injury on or about the property which may be suffered by any employee, tenant or guest upon the property. The Owner agrees to maintain sufficient property insurance and shall provide a copy of such insurance policy to the Manager for the Manager's records.